Brittany Perry joins Torrey Smith Realty Co. with an enthusiasm to make a difference in her hometown – a place that has helped shape and nurture her. Having grown up a “country girl” in Shelby County, Brittany’s upbringing included exploring the rural landscapes of Waddy and Bagdad and experiencing the peace of mind of having neighbors and friends who offered watchful eyes, warm hearts and welcoming homes. During her senior year of high school, her family moved into a neighborhood in the heart of Shelbyville and she walked across the stage at Martha Lane Collins High School to receive her diploma with pride for a community that is as welcoming within its core as it is on the outskirts. Brittany went on to study at the University of Louisville her freshman and sophomore years of college, then transferred to the University of Kentucky, where she enjoyed watching her brother play baseball. She graduated from UofK with degrees in psychology and sociology and a minor in criminology. She accepted a job in human resources, helping launch a company with more than 700 new hires. Equipped with a gift for pouring into people and applying the skills she learned in college, Brittany enjoyed the opportunity to play a role in so many people’s lives, but the long hours sitting behind a desk, lost in paperwork didn’t match up to her passion for serving others. Challenged with the dilemma of knowing where she should use her gifts, she did what she knew best – she prayed and turned to her family for guidance. She had seen the role her father played in the Shelby County community as a real estate investor and decided that a job in real estate was the perfect match for her skills and desire to better understand her family’s business. So, she quickly pursued her real estate license and landed at Torrey Smith Realty Company. Brittany’s love for her Shelby County is as easily recognizable as her enthusiasm for helping others. “One of the things people have asked me through the years is why I’m always so happy. I credit that to my upbringing, and I’m moved to help others through buying and selling homes, and, hopefully, I can contribute to their happiness,” she said. When she’s not spending time with family (parents, Machelle and Chris Perry, and brothers, Austin and Hunter Perry), Brittany puts her spirit of adventure to good use, traveling to visit friends in Los Angeles and beyond. In addition, she has traveled to Hawaii and Scotland and has served on a mission trip to Guatemala. Brittany believes that Shelby County has a lot to offer people in every stage of life, and she looks forward to helping pair homes with people who also appreciate the same kind of welcoming community she has enjoyed throughout the years. 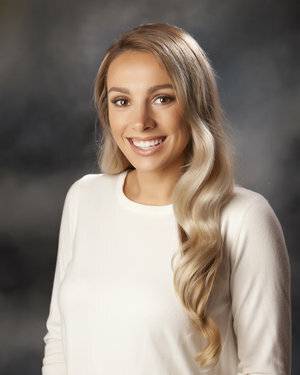 To connect with Brittany, call or email her at 502-655-2181 and brittany@smithclick.com.